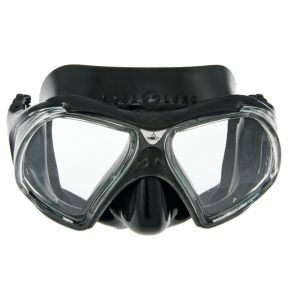 Cressi F1 Frameless mask is a loved mask of both scuba divers and free divers because of the low profile design it has built on and the high-grade silicone materials used to manufacture the mask. 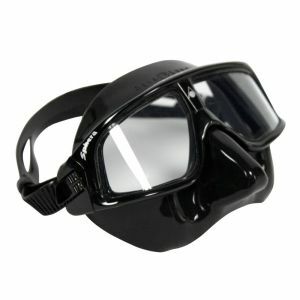 This frameless cressi mask is available on diveshop in 6 colors. 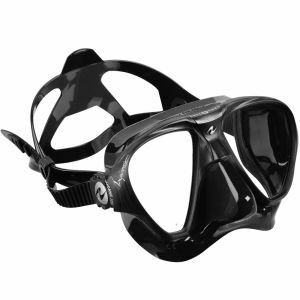 Frameless masks are loved by many divers for their low-profile and ability to fold flat for easy carrying, even in a BC pocket. 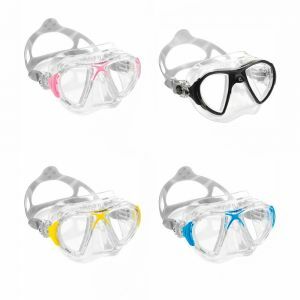 Cressi's frameless design bonds a high grade silicone skirt directly to a single lens for the ultimate in simplicity. The low-internal volume allows for effortless clearing and quick-adjust strap buckles are molded directly into the skirt for a flexible fit and reduced drag. 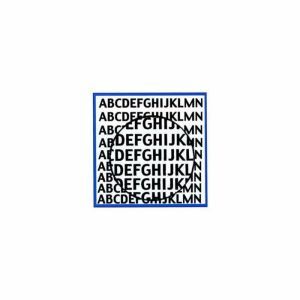 It also represents an unbeatable value, with a cost roughly half that of similar masks.